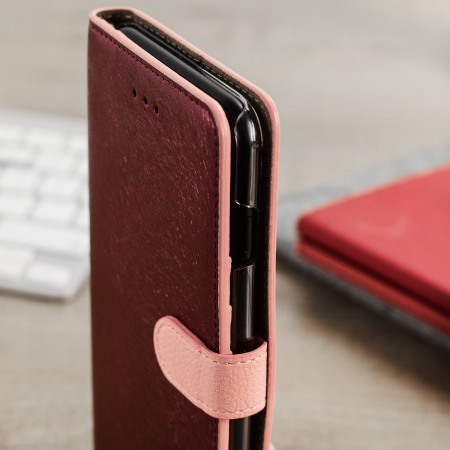 The Hansmare Calf Wallet Case in wine pink for the iPhone 7 Plus provides exceptional protection in a slim and sleek package. 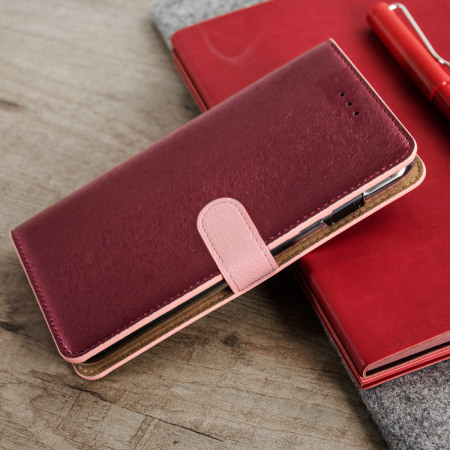 The interior of the case features a genuine leather pocket with slots for your cards and document. 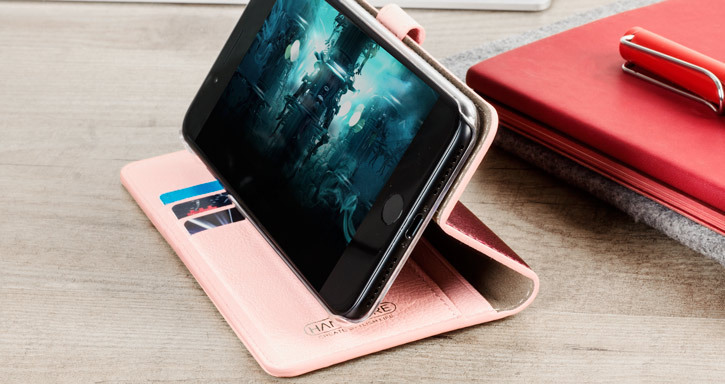 This is the second Hansmare case I have bought from Mobile Fun for my iPhone 7 Plus. Does the job beautifully. Good product, good service, would highly recommend. Lovely quality, perfect fit, delivered as expected, would use again. 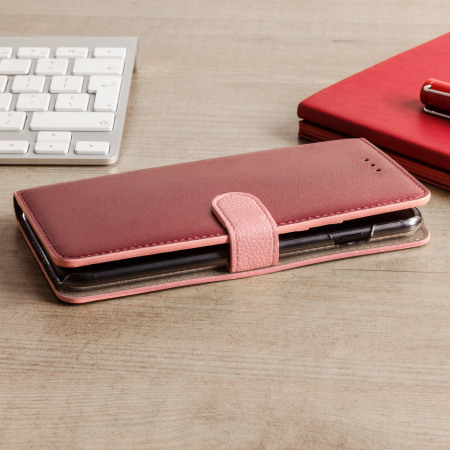 Keep your Apple iPhone 7 Plus safe and enclosed with the Hansmare Calf iPhone 7 Plus Wallet Case. 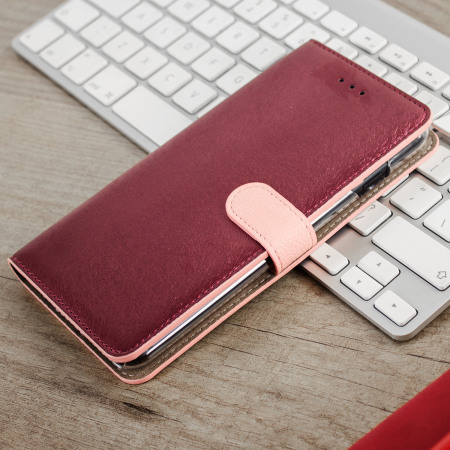 Featuring a soft and stylish calf leather interior teamed with a stylish textured synthetic exterior, the Hansmare Calf iPhone 7 Plus Wallet Case provides vital protection against scratches, drops, and bumps, while complementing your iPhone 7 Plus' stunning good looks. 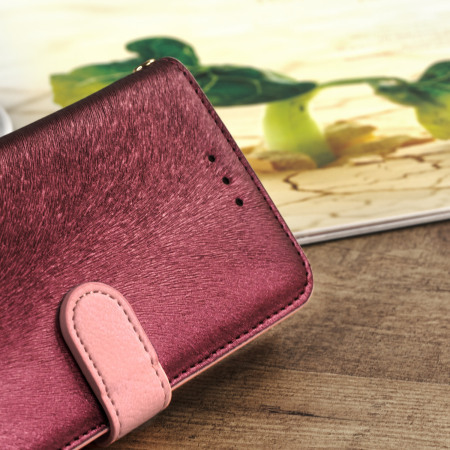 The interior of the case features a genuine leather pocket, perfect for holding cash notes and documents. 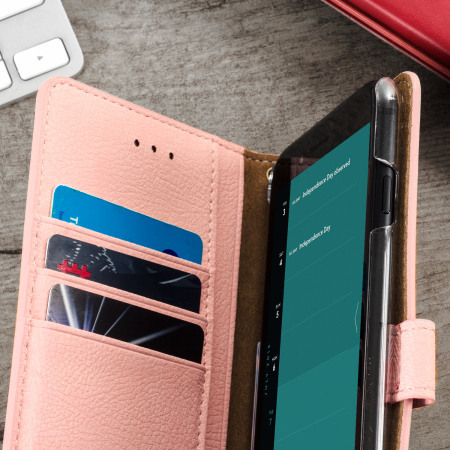 Additional cut outs also allow the case to hold credit cards, store cards, or anything else of a similar size. 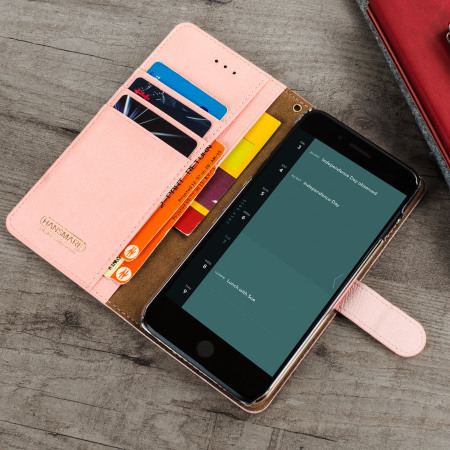 Thanks to this handy feature, you can easily transport everything you need with just your phone case. 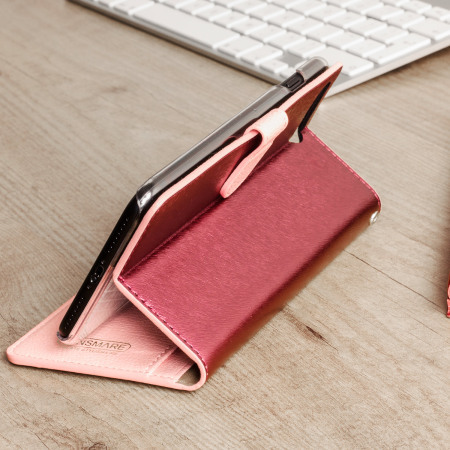 Brose the net, catch up on your YouTube subscriptions, or Facetime a friend - the integrated viewing stand on the Hansmare Calf iPhone 7 Plus Wallet Case makes any activity a breeze. 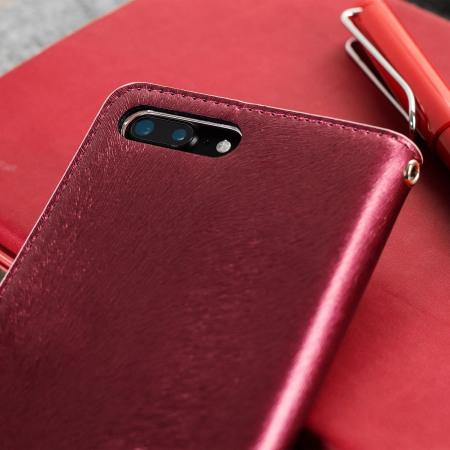 The case has been specifically designed for the iPhone 7 Plus, so you can be sure that you're getting the best possible fit for your smartphone without sacrificing any functionality. Please note: images are for demonstration purposes only.